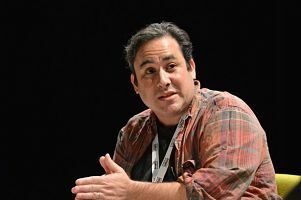 Josh Weinstein is the showrunner, co-developer and executive producer of Netflix new animated series ‘Disenchantment’. The show, from”The Simpsons” creator Matt Groening, debuts Aug. 17. In 2012, Jackson interviewed Lee Hirsch, the director of the documentary “Bully”, actor/director Matthew Lillard and “The Middle” star Atticus Shaffer. 2013 guests included Oscar-winning director Chris Wedge (Scrat in the “Ice Age” movies). Also on the show that year were the directors of “The Croods”, Chris Sanders and Kirk DeMicco. 2014 guests included comedian Kathy Griffin, Chaz Ebert, wife of late film critic Roger Ebert and animation historian Jerry Beck. The following year Jackson interviewed Oscar-winning screenwriter Diablo Cody (“Juno”) and “Hotel Transylvania” trilogy director Genndy Tartakovsky. 2016 highlights included comedian Adam Pally, LAIKA founder Travis Knight and Oscar-winning “La La Land” composer Justin Hurwitz. In 2017, the podcast featured “Fairly OddParents” creator Butch Hartman, Emmy-winning game show host Todd Newton, and comedian Gilbert Gottfried. Also, popular talk show host Jenna Wolfe and Oscar-nominated writer and star of “The Big Sick”, Kumail Nanjiani dropped in. So far in 2018, 4-time Oscar winning “Wallace & Gromit” creator Nick Park and “People NOW” host Jeremy Parsons have joined LCJ, along with both the star and writer/director of the critically-acclaimed film “Eighth Grade” – Elsie Fisher and Bo Burnham.